We have received warm responds from potential partners and people who would like to join. We hope this is a good start for a long-term relationship that is based on our common interest: books. The plan is to build a community of readers that is willing to learn and to share new perspectives in friendly atmosphere. We will mainly discuss English books, but will keep an eye on original books written by Indonesian writers. We would like to hear you. Tell us one book that you would like to read at this moment? If you know that it's not possible to get the book in the book store, please also let us know. 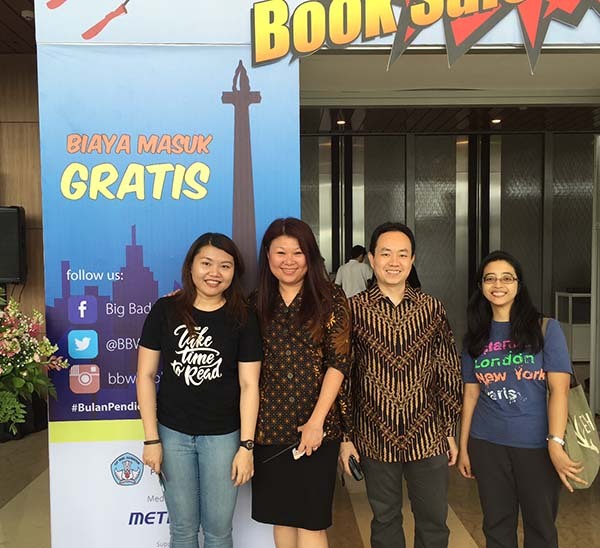 Meanwhile, we are still calling for anyone who would like to be Jakarta Book Club officer. Let's make this happen together.